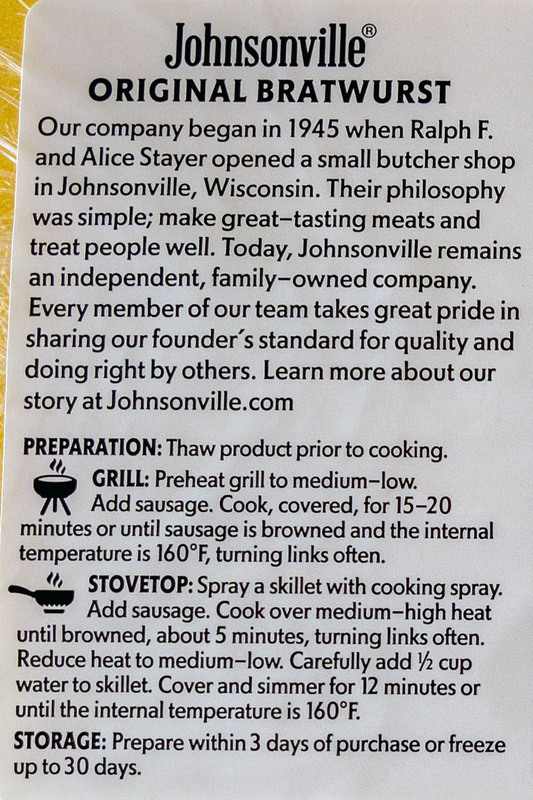 Are Johnsonville Original Bratwurst any good? 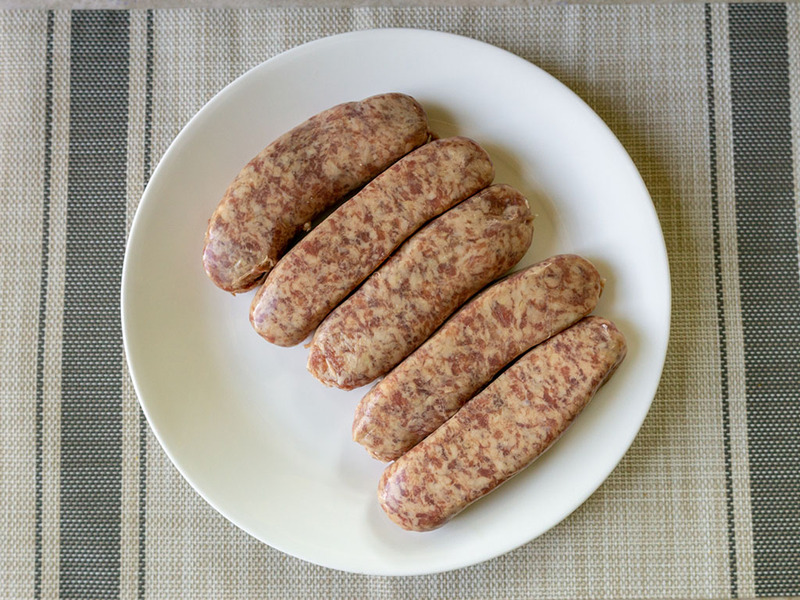 These are a solid bratwurst that you’ll find at practically every grocery store up and down the country. It goes without saying they aren’t a particularly healthy choice, but cooked carefully they’re packed with flavor and tons of juiciness. 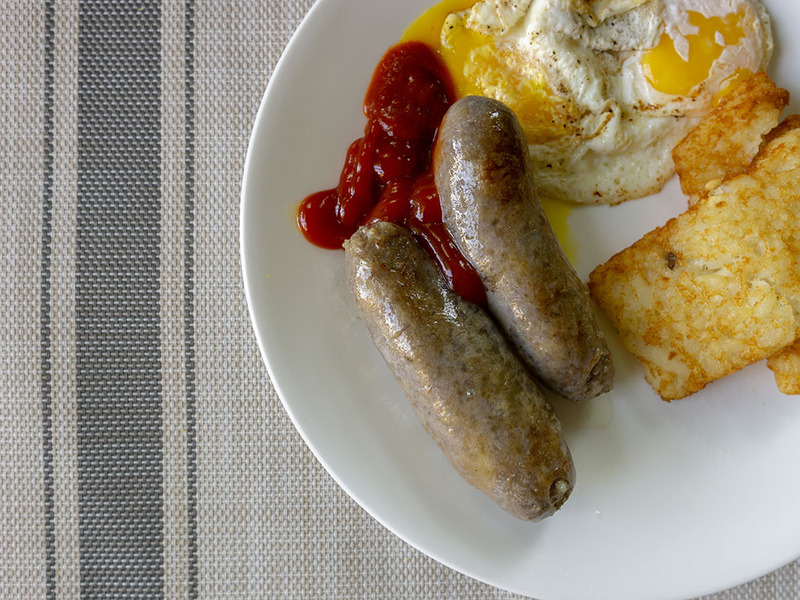 These brats are perhaps one of the best known across the country – available in a variety of major grocery stores. 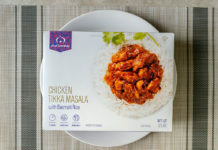 It goes without saying there’s a reason for their ubiquity – these are a solid choice for a variety of dishes. Whether it’s a brat on the Summer grill or cooked up in a composed dish, they’re a decent choice. They’re far from world beaters of course. 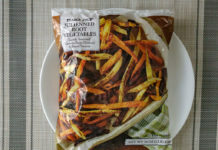 Depending on where you live, you may well have far better options; I find that specialized butchers and gourmet grocery stores that make their product locally, are generally superior. Still, if options and time is limited, no one at your party will be sad if this appears on the grill and their bun. 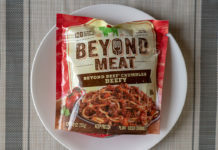 I’m a big fan of these taste wise, indeed they’re quite neutral in terms of flavor and able to support a range of toppings; most importantly if you cook them well, they will literally explode with juiciness. A caveat to that is that I do find the casing a little thick and tough (especially cooked using my preferred method below). Sure it keeps the moisture locked in, but it can have a little too much snap for me personally. Five brats come packed in a bright yellow plastic meat tray and then wrapped in plastic. Once they’re opened the package is not resealable. I like to double wrap them in plastic wrap and freeze them individually once I’ve got them home. 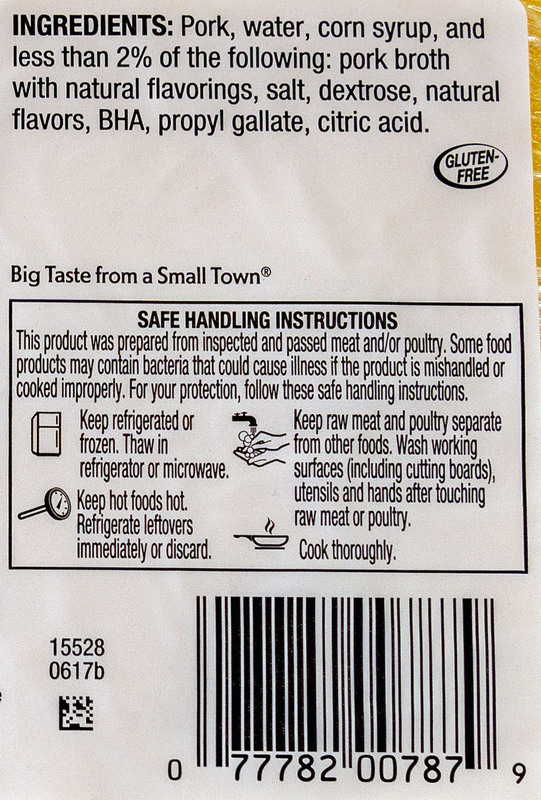 The packaging advises not freezing longer than 30 days – and while you shouldn’t take food safety advice from random strangers on the Internet – I sometimes do find myself storing them frozen for slightly longer. It goes without saying these aren’t the healthiest choice, but like anything in life, moderation is key! 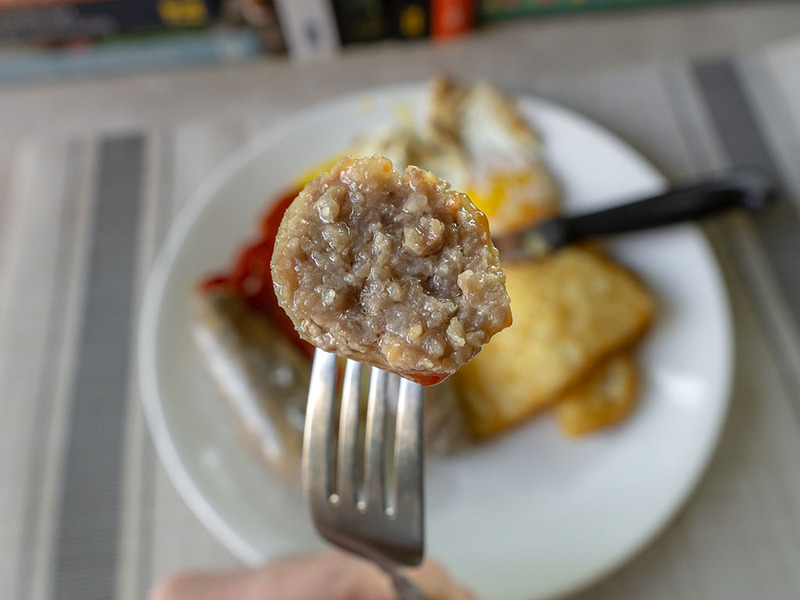 As these are big hefty brats, you can’t just throw them in the pan for a few minutes and call it good. 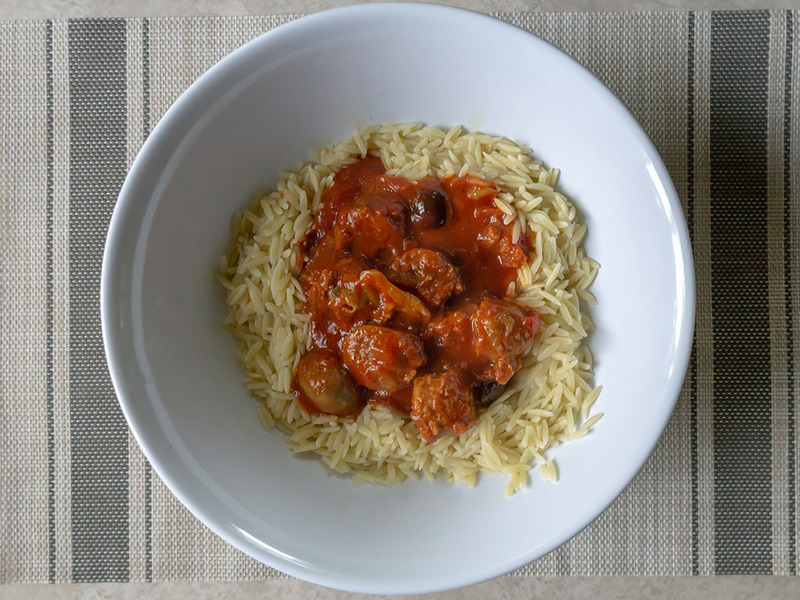 You’ll want to ensure these sausages are cooked carefully throughout. My preferred technique is the fry and boil/braise listed on the packet; fry in a little oil till browned, then add water to the pan, cover and cook on medium heat so they steam/braise through. I like to cook them that way for 10-20 mins. 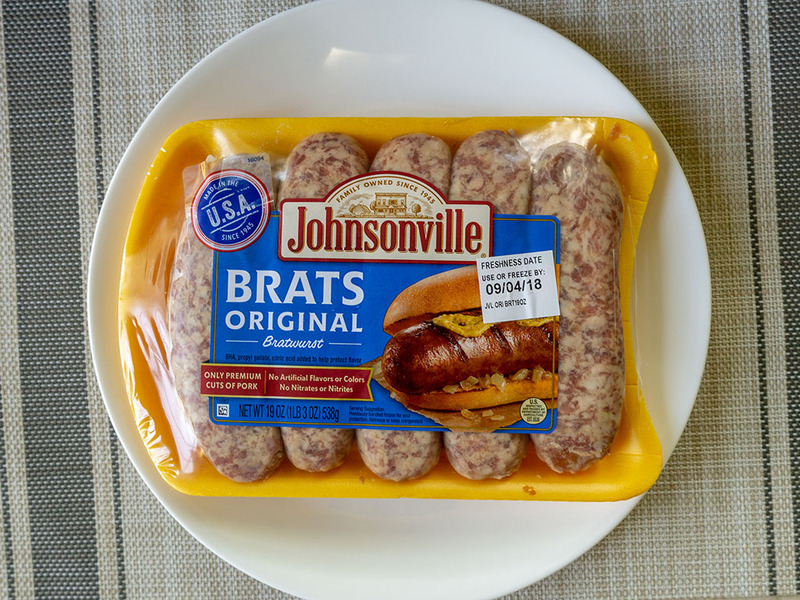 Johnsonville Brats Original – what’s a fair price? I paid $3.98 for this pack of five brats from my local Walmart. This is probably right on the ballpark of what’s fair for the product.